1. You want to work with a professional. 2. Someone with years of experience with great recommendations..
3. Someone who understands your needs and seeks to exceed your expectations. 4. Someone with a popular song list and is open for your request. 5. Someone who is accessible, responsive and punctual. Keith made our Holiday Party quite memorable. He was professional, engaging and interactive with the guest. I will definitely hire again! Very professional and punctual. It was a pleasure to have worked with Keith. I totally recommend him. Keith was amazing. He performed my ceremony and cocktail hour and made it so magical, thanks again Keith - you were a pleasure to work with!! I am always very glad to get a response from a happy and satisfied client.. I would definitely recommend Keith for any occasion. He does his homework when you want him to play a specific song(s). He is very approachable and will stay playing until your aatiafied. My wedding was truly memorable because Keith added to this joyous occasion. Keith was the perfect complement for the event. He played beautifully and sensitively. Many thanks Keith, I would definitely hire you again. Where do I begin.... Keith was an absolute pleasure to deal with from start to finish. He was extremely responsive, cooperative and professional during or initial contact and throughout the entire process. Keith was hired to play at my great Aunts 70th Birthday Party last month. When we arrived at the venue, he was already completely set up and ready to play - well not only ready to play, he was playing! 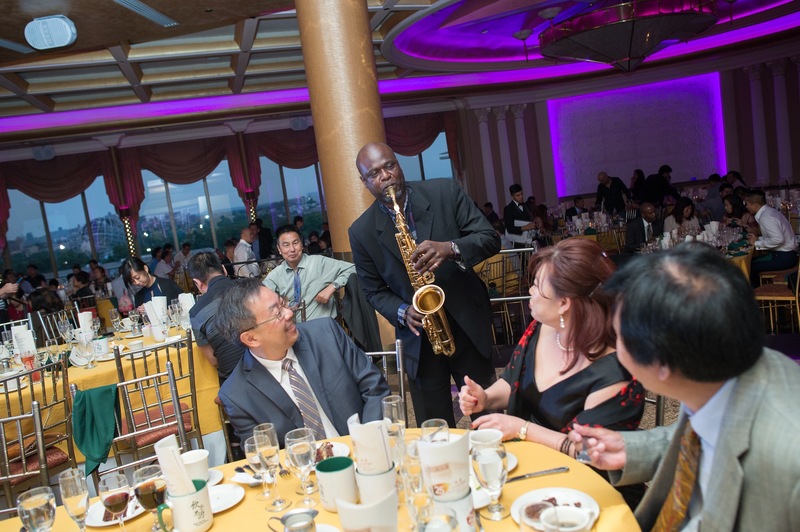 Throughout the night, he worked the crowd — literally went from table to table, person to person, to serenade our guests! The highlight of his crowd interaction, was my 87 year old grandmothers reaction. She appreciated every bit of his performance. Priceless!!! For that matter, everyone in attendance appreciated Keith’s talent — we received so many compliments about what a nice touch his presence added. I would hire Keith again in a heartbeat! A true artist and performer! Keith is extremely talented and was a joy to work with fornor event. I highly recommend him for any kind of formal or informal event. His presence and cholce of music made the experience memorable. Thank you. Best addition to my wedding! I was originally looking for a singer for my ceremony and was having a hard time finding one that was affordable. Then I came across gigsalad and it opened me up to other possible entertainment options for my ceremony. I came across Keith Marrett's profile and saw he had wonderful reviews. Plus, having a saxophonist would be a unique addition to my wedding ceremony that most ppl don't have. Keith was easy to work with, plus he already had a list of songs great for weddings, so I didn't need to give him a list of songs to play. 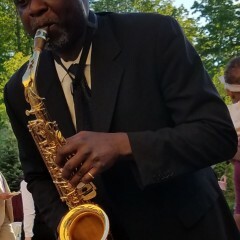 My guests loved having him play during my ceremony and cocktail hour. I am happy I came across gigsalad and found Keith. He is highly recommended!!! Amazing!! Life of the party! Keith was amazing! He was super flexible in terms of the music I wanted him to play and stayed longer than he needed to. He was so nice and made the party so much fun! Would definitely recommend and would hire again. Thanks Keith!!! Book Keith Marrett and be prepared to be blown AWAY. We hired Keith to play for our 7th wedding anniversary, it was a spectacular performance leaving my guest wanting more! Keith was on time, ready and prepared to give us just what we asked for AND MORE! He was lively, engaging and exciting. His Saxaphone skills gave more than just a sound IT GAVE A SHOW! We highly recommend Keith! His delivery will NOT disappoint. As a added display of our satisfaction we are planning a Encore presentation adding Keith as our Headliner! Good if you don't mind old school. I played for a predominantly mature crowed who gave me a great response. It wasn't specified what type of music to play so my goal was to please the audience.. the individual who hired me was pretty young and was probably looking to hear more recent tunes which I do have.. Nothing gives me more joy than a happy client..
Keith Marrett is AWESOME!!! I used him for party we had for some out of town guests who were in town to attend a wedding for my son. Everyone is still talking about him- he is versatile, has a great personality and picked on the vibe of the crowd. His music was fabulous! Keith was responsive and professional throughout the entire process. I would highly recommend Keith! We hired Keith on 5/14/2016, for a wedding renewal ceremony, I cannot find enough words to express the talent and skill that he has. Keith changed the tone, I wished he did not have a previous engagement. I would definitely pay him cash to keep him for the reception. Honest and fair, no worries or fear, he's gonna show up for you, just trust him. He got to the church before me the organizer lol. I could go on and on but you can hire him and he will deliver. Keith made our Mom's 80th birthday party special. He serenading her. 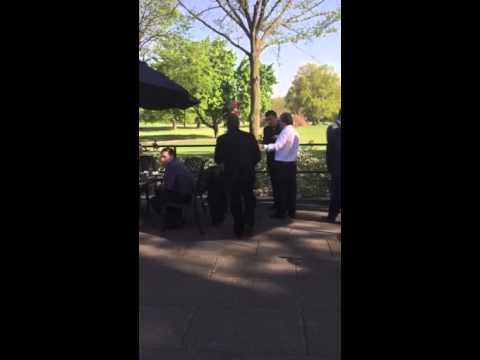 He serenaded the guest. He lights up the room. The crowd loved him. Extremely professional. Early. Looked nice. I was very happy with him. The second I spoke to Keith for my wife's 41st Birthday party I knew I had our Man ! His charisma is matched by his "sax-ability". He walked throughout the house playing. Our dozen guests loved him ! Beautiful evening and a great surprise for my wife and guests !!! Worth every minute !!! I hosted a casino themed surprise 50th birthday party and Keith was the perfect asset to the night. He created an ideal atmosphere, interacted with guests, and was accommodating with his music selections for all ages. I am beyond pleased with his performance and am looking forward to working with him again for future events! Keith played his saxophone at my Uncle Felix's 90th birthday. He showed up on time (actually with time to spare --even after set up) and well prepared. He begun by congratulating the honoree and then played marvelous tunes. Later he moved on to working the room (went around the floor playing for every table) and then ended his performance with a rap-like rendition he put together especially for Uncle Felix. He engaged the guests. I was impressed and the guests and honoree were blown away! Keith is an amazing musician. He is fantastic!! We had the privilege to have Keith play at our cocktail hour for our wedding. He set the mood right away with his song selection and great notes, he really had everyone in very high spirits. After the wedding we had so many compliments about him, I myself was astonished on how he performed. Keith played at my wedding on Friday and I was absolutely blown away! My guest were amazed at the talent that he had. I would absolutely recommend him for any special event. From booking to the end of our ceremony, he was professional. He came on time and set up with no problem. On February 21, 2014 Keith Marrett intrigued my guess!!!!!! Ketih Marrett is an Artist in every respect. He is clearly passoniate about his craft. I hired Keith to perform at my 50th. Birthday Party. Keith was on time and ready to play. His selection of music was stratigically selected and served well for the ocassion. He was ready to perform when instructed, he was humble and compasionate. Keith's price was affordable and woth every dime. My guest complemented his muisc and his grace. Thank You Keith for your professionalism and your talent.......Vanessa L. Jones/ DJ Playette. Keith is very professional and an excellent artist. He is a great saxophonist, with lots of class. You won't be disappointed. Keith was just wonderful. I plan to use him for all my other events and concerts. Thank you Keith I really look forward to working with you again. His personality and talent were just what we were looking for. After he played the sax we had asked him to DJ our ipod. He was wonderful, full of energy and we adored the fact that he was feeling the music and the vibe of our celebration. He was exactly what we were looking for. Thank you Keith! 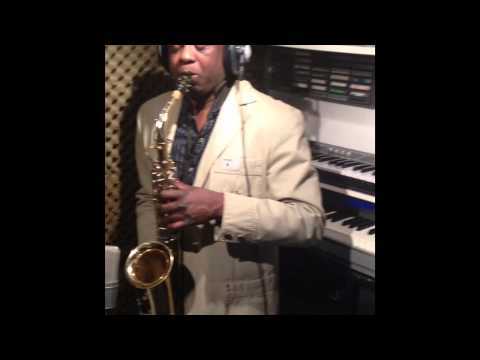 What client should expect from this saxophone player is versility, and someone who enjoys playing melodies that are well known to millions of music lovers. They will be able to sing along and experience how powerful a melody can be. 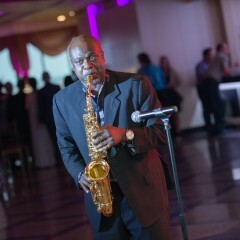 Keith is a saxophonist & Guitar player who brings a flavorful mixture of popular music with a dash of Jazz, Blues, and R&B. He is also a vocalist who surprises His audience with His smooth vocals and song selections. 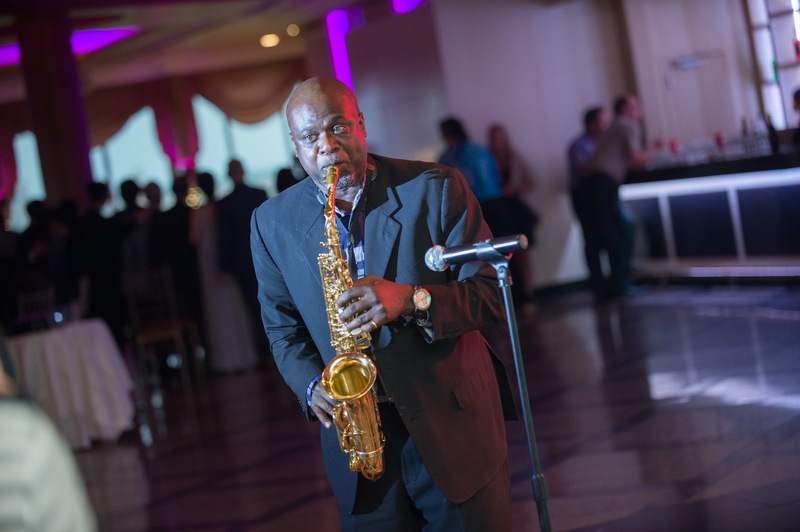 Clients have the option of having sax with backing tracks,sax with a live band, vocals with backing tracks/live band,and keyboard with backing tracks/live band. Keith caters to events such as weddings, banquets, clubs, outdoor social events, churches, graduations, etc. You can also choose a song or songs from his playlist you would like to be performed at event. He also accepts payment through Paypal. This performer often travels with a sound system capable of accommodating someone who need a microphone or needs a track to be played while he or she performs. This is needed to be known prior to event. Keith did a great job, very accommodating and understood his audience which was great and made a significant difference. Overall, I was satisfied. Keith was a great addition to my wedding ceremony. He was extremely professional and is very talented. My time extended beyond my contracted agreement with him and he was wonderful about it. He kept my guests entertained and they all loved his music. I would highly recommend him for any event. 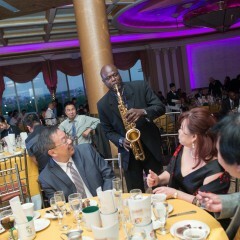 The sound of his sax added such a magnificent touch to my wedding ceremony. He did a great job.